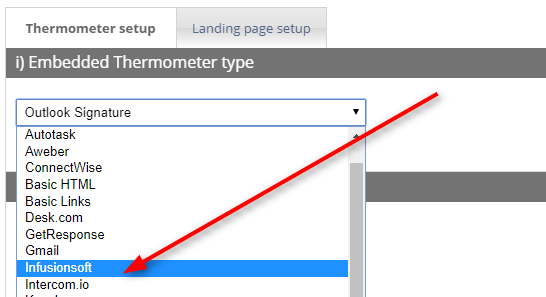 Choose “Infusionsoft” from the i) Embedded Thermometer type drop down box. Add / edit the Infusionsoft variables as shown below. These variables will provide identifiable feedback and dictate which data is captured alongside Customer Thermometer rating. 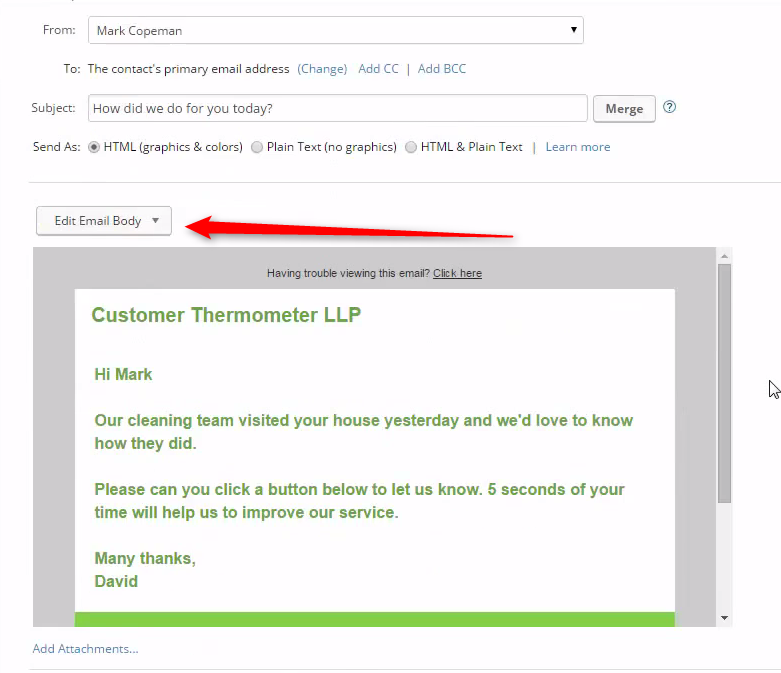 Additional merge fields are available for tracking, as shown here. 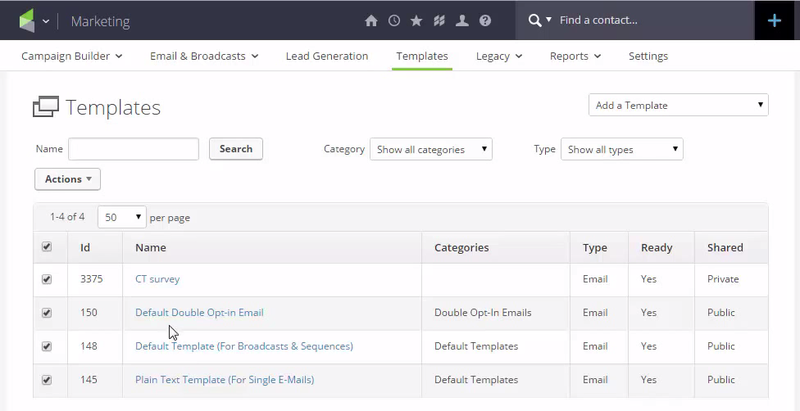 Inside Infusionsoft, navigate to the Marketing area and view Templates. Your Templates will be listed. You will now insert your Thermometer into an exsting or new Template. 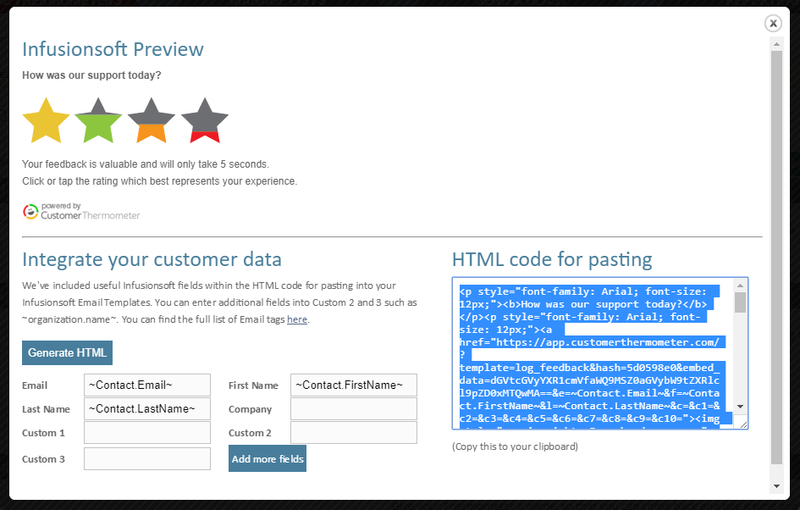 You’ll be able to trigger that Template as part of a workflow or a campaign. We don’t cover that here. Create a new template, or edit an existing one. Fill in the basic attributes of the email. 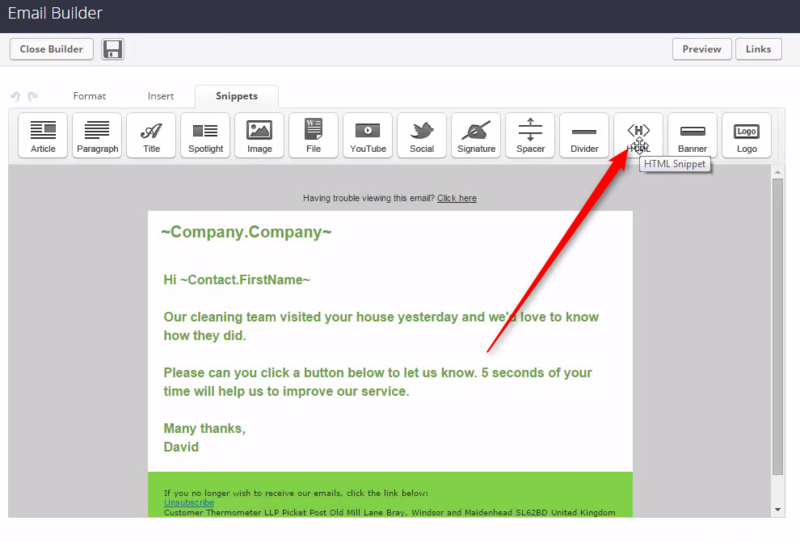 To create or edit the email body, click the button shown. Editing the body will take you into the Email Builder. 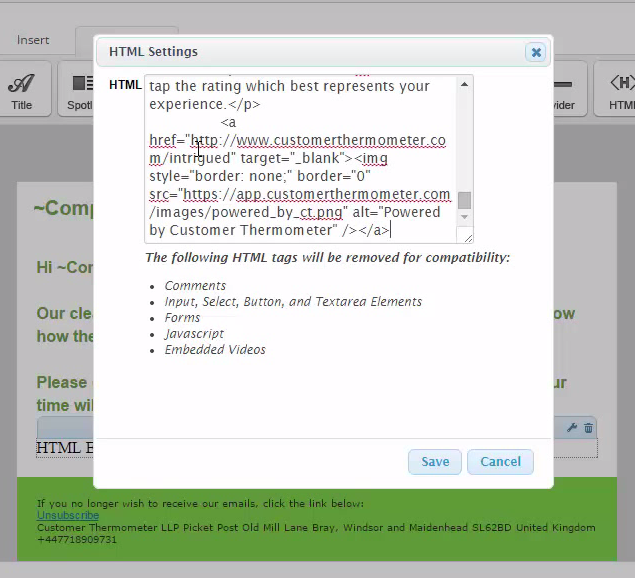 You will need to insert a snippet of HTML code (copied from above). Once the snippet is in place, click it to edit it. You’ll see a popup. Once saved, you’ll be returned to the email body. Customize all of the elements as you see fit. Ensure you don’t alter the tracking links. 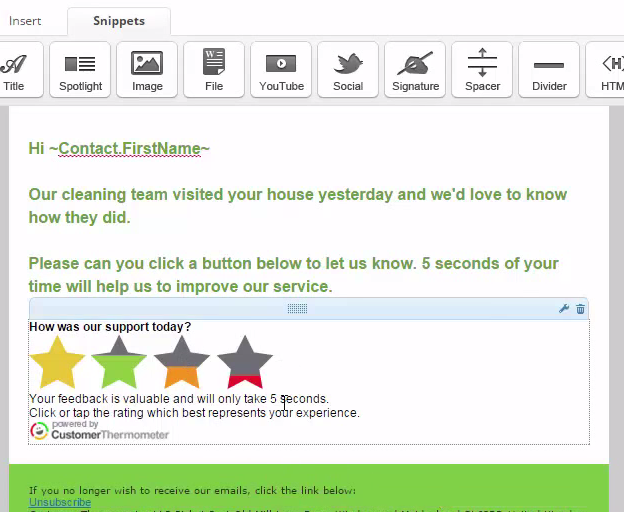 Finally, add this email template to an Infusionsoft workflow or campaign.